Seasoned guide Josh Nugent and worldwide fly fisherman Richard French head from Calgary, Canada to the Spanish Pyrennees to follow in the footsteps of Ernest Hemmingway. They have been set a number of challenges that they need to fulfil and in attempting to do so, encounter unforgettable adventures, breathtaking scenery and amazing fishing! 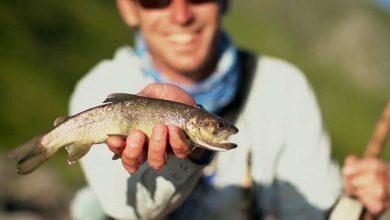 Canadian fly fisherman Josh Nugent and his crew embark on a two week long expedition taking them from Calgary, Canada to Barcelona, Spain where they will meet up with expedition organiser Richard French. From here the two plan to launch their cross country pursuit of trout. However logistical challenges seem to plague their every step, providing them with a start they weren’t expecting. 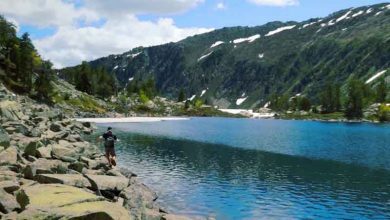 The crew makes it to their second check-in at Aren, Spain and enlists the help of a helicopter to reach the Ibons – a series of high mountain lakes situated in the middle of the Pyrenees where native browns roam. Unpredictable weather conditions threaten the crew’s safety as they face the possibility of being stranded on a mountain. 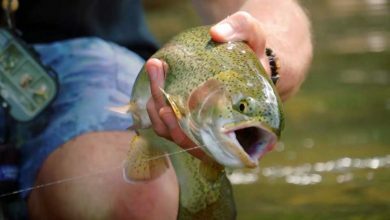 After 3 days of being MIA, Richard French finally meets up with Josh and the crew, just in time to chase native browns and big rainbow trout back down in the valleys. Josh attempts to catch a monster brown on a dry in the dead of night. After severe storms pound the region, waters are running high and dirty. 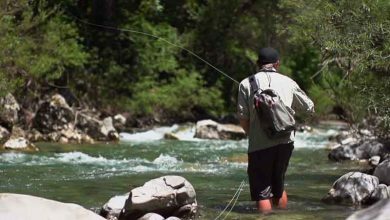 The crew has to travel further than planned in search of fishable water, and faces the possibility of not meeting their objective, catching a giant Brown Trout. Working their way West, the crew find themselves amongst some of the most stunning scenery an angler could ever imagine. Keeping things exciting, Ivan the guide challenges the crew to catch zebra trout and barbel, two species no one is familiar with. 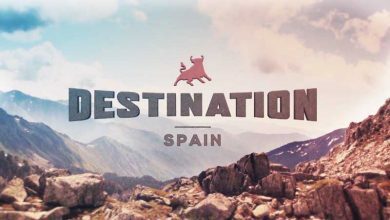 After crossing the entire Pyrenees Mountain range from the East to the West, and casting a line at every opportunity, the crew finds themselves in Pamplona, Spain just in time for the annual San Fermin festival which features the World-famous running of the bulls.